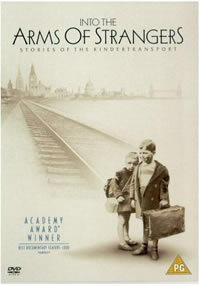 A special screening of the 2000 Academy Award-winning documentary Into the Arms of Strangers: Stories of the Kindertransport. This important film tells the remarkable story of how over 10,000 Jewish children from Nazi Germany, Austria, and Czechoslovakia were rescued from almost certain death by being transported to England. Housed in foster homes and hostels, these children, or kinder, hoped to see their parents again after the war, although, sadly, the majority would not. Narrated by Judi Dench, and made in cooperation with the United States Holocaust Memorial Museum, the film uses rare footage, photographs, and, most importantly, the words of the child survivors, rescuers, parents, and foster parents in order to tell this most moving and courageous of stories. The film will be introduced by Tom Wysmuller, AFC Advisory Board Member and the grand-nephew of Geertruida Wijsmuller-meijer, Dutch war hero and resistance fighter. Geertrudia, or “Auntie Truus,” as she was known, was instrumental in saving thousands of Jewish children in the Kindertransport rescue mission.